Sami by ECOBAGS is delightfully light and casual. You'll find a zillion uses for sami and you'll probably want more than one! Definitely a warmer-weather carry tote, sami is always ready to go where you go - to the beach, yoga, knitting or traveling around the globe. Attention ETSY lovers and crafters...add your design or handicraft to personalize sami for yourself or as a gift bag. We imagine that sami is perfect for events and weddings, do you too? Say "no" to single-use paper and plastic bags. 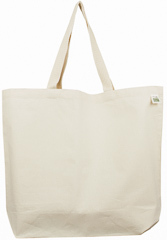 Always carry a reusable cloth bag to use "just in case" you need it. We will contact you regarding art and production. 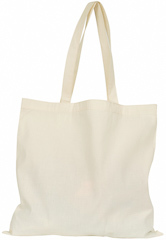 Price is per bag, includes printing 1 color, 1 side, and setup for 1 color.